Let's add a second Paragraph with text using ContentRange class. As you notice, here we've explicitly specified DocxSaveOptions as the second parameter. 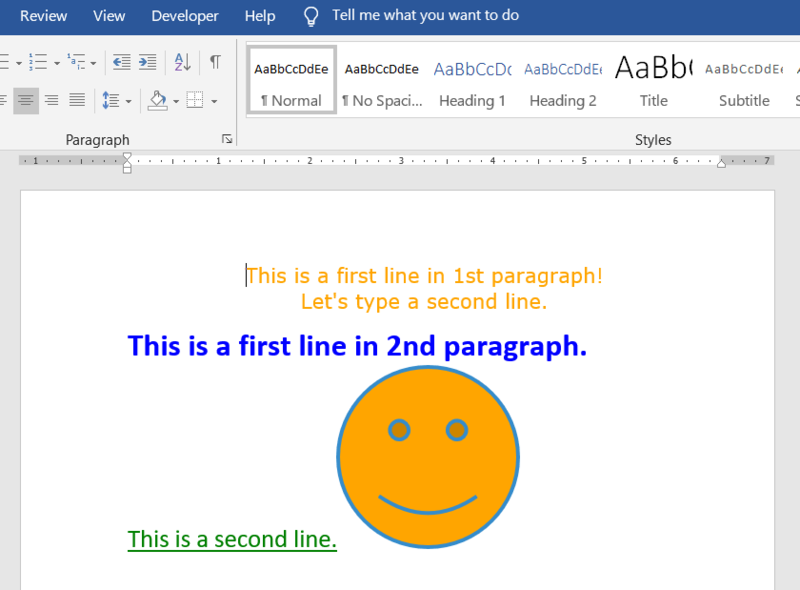 Here you may find more details how to Save a document in DOCX format. /// Creates a new document and saves it into DOCX format. // Set a path to our document. // Save a document to a file into DOCX format.
''' Creates a new document and saves it into DOCX format.
' Set a path to our document. Dim docPath As String = "Result.docx"
' Save a document to a file into DOCX format.